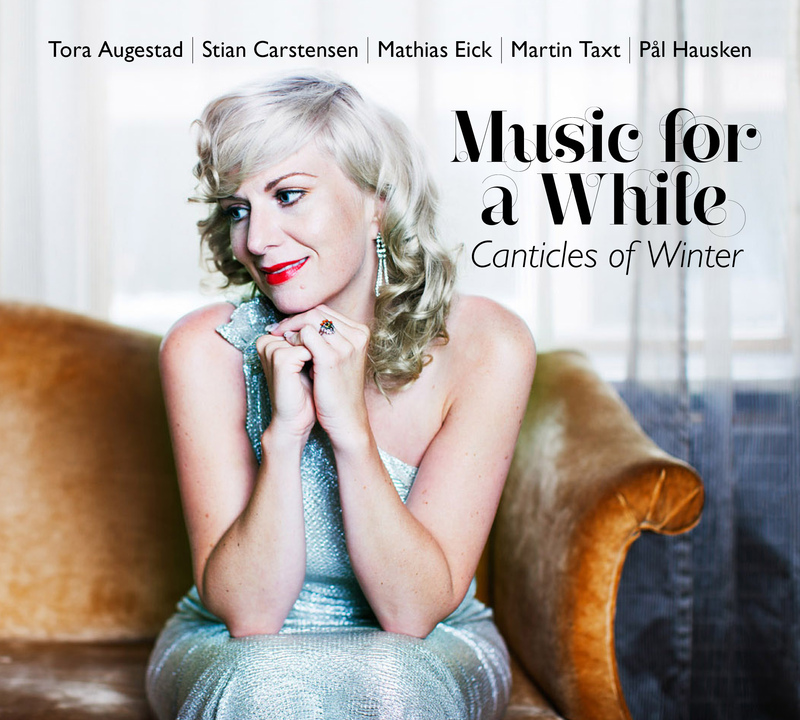 MUSIC FOR A WHILE - "CANTICLES OF WINTER"
Music for a while, lead by Norway's uncrowned queen of cabaret, Tora Augestad, released their long-awaited second album with the ambiguous title Graces that refrain to high acclaim in 2012. Now they release their new album with starling winter songs with shimmers of christmas: Canticles of Winter. 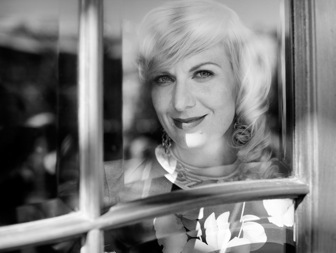 As leading lady for Music for a while, Augestad fronts a dream team of Norwegian jazz musicians: Stian Carstensen (Farmers Market), Mathias Eick (Jaga Jazzist, Manu Katché), Martin Taxt (Trondheim Jazz Orchestra, Koboku Senju) and Pål Hausken (In the Country, Susanna). What particularly characterizes Music for a while, is the group´s personal, organic and creative treatment of the material. On their critically acclaimed first album, Weill Variations, the band did original and fresh versions of Kurt Weill´s immortal music. Graces that refrain features fearless "cover versions" of compositions in classical music: from John Dowland to Poulenc. Canticles of Winter mixes melancholic winter tunes by Schubert with Baroque treasures from the great masters; Purcell, Bach & Händel. The Anglo-Saxon Carol tradition is featured with songs like "Wexford Carol", "Coventry Carol" and as heard here: "In the bleak midwinter" by Harold Darke. Great review from David Nice at theartsdesk of International Chamber Music Festival Stavanger & our concert at Studentersamfunnet Folken august 12! "Graces that refrain, den nye plata fra vokalisten Tora Augestad og gruppa Music for a while, river ned genregrenser og utfordrer til å gjenoppdage vår europeiske musikkarv". "Musikk uten grenser - en opplevelse av de sjeldne". ￼"På sitt nye album tar de for seg en del klassiske skatter, fra Händels «Lascia ch'io pianga» til Saties «Je te veux», alt gjort med den samme dempede elegansen og lekne kreativitet". ￼ "Med Sang i høysetet"
"En nytelse å høre musikaliteten og respekten Tora Augestad behandler ulike språk med". Dag og Tid: "Coverlåtar i fløyel"
"Dette er ei plate der ein ikkje kjenner trong for å programmera CD-spelaren for å luke ut svake spor, men Dowlands "Flow my tears" og "Come again" og Saties "Je te veux" viser på kvar sitt vis ekstraordinære kvalitetar ved ensemblet - dei to førstnemnde ved eit tilnærma telepatisk samspel mellom Eick og Taxt og ditto mellom Augestad og Carstensen i Satie-låten. Strålande kammermusikk". "All honnør til bandet for å tenke nytt i et musikalsk format som fungerer aldeles utmerket". "Spreke, særpregede versjoner av musikk fra 1600-tallet og framover. Augestad er en fortolker av klasse. «Graces That Refrain» er et musikalsk banebrytende album som viser at Augestad har en sjelden innsikt i det hun holder på med". ￼ Vakkert fra fire århundrer. 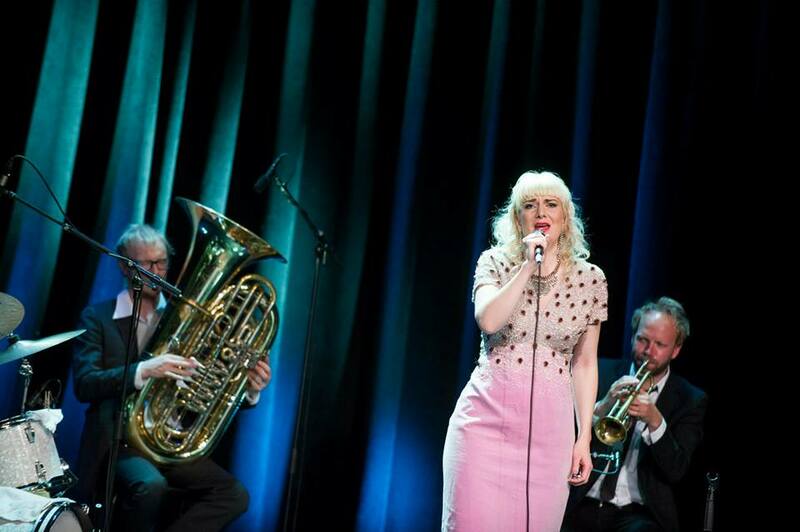 Berlin-bosatte Augestad lar den flotte stemmen formidle uten foredragseffekter, Eick er trompetlyriker med klassisk legatospill og jazzinformert frasering i skjønn forening, Carstensen er lojalt ikke-dominerende i sitt klang- palettutvidende bidrag og Taxt/Hausken er en følsom og bokstavelig talt harmonisk motor i dypet av denne lille albumåpenbaringen. Tora Augestad og Music for a while beveger seg stilsikkert mellom tradisjon og improvisasjon. Med på laget har hun et stjernelag av yngre, norske musikere som på platen bobler over av improvisatorisk oppfinnsomhet og musikalsk følsomhet. De intelligente arrangementene av kanoniserte vokalstykker gjør «Graces That Refrain» til et viktig nyskapings- og formidlingsarbeid. Music for a While demonstrerer en kompleks musikalsk følsomhet i spenningen mellom tradisjon og improvisasjon. ￼Music for a while makter å gjøre noe helt nytt med sentrale deler av den europeiske musikkarven. Uventet, underholdende og usigelig vakkert. 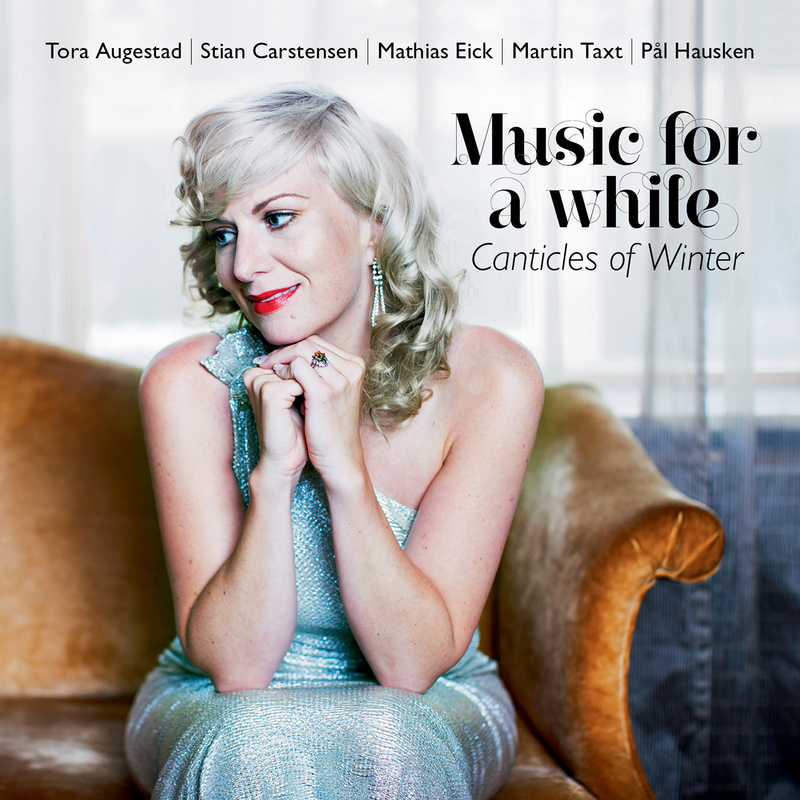 The band Music for a While, fronted by Norway"s uncrowned queen of the cabaret, Tora Augestad, are celebrating their tenth anniversary this year by releasing the album "Canticles of Winter", an album they themselves describe as "a selection of low-key winter songs with a hint of Christmas". It is miles away from a traditional Christmas record, although some of the loveliest Christmas songs ever written can be heard here. Music for a While"s trademark is the group"s personal, organic and creative approach to the material, regardless of its origins. 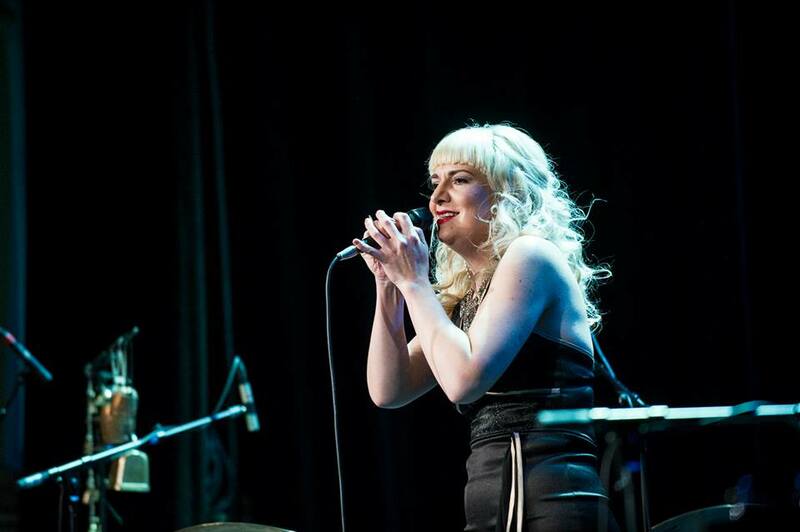 Whether the point of departure is Kurt Weill"s familiar cabaret melodies or songs and pieces from the classical repertoire, two elements consistently stand out: vocalist Tora Augestad"s vocal control and unique communication skills, and the band"s elegant, seamless and genre-crossing treatment of the material. Tearing down genre boundaries Norwegian radio personality Erling Wicklund said in a review that the band "tear down genre boundaries and challenge us to rediscover our European music heritage". The record "Canticles of Winter" presents music composed by John Dowland, Henry Purcell, George Frideric Handel, Carbonelli and Bach, among others. Music for a While In addition to Augestad, Music for a While features a dream team of Norwegian jazz musicians: accordion player Stian Carstensen (Farmers Market), trumpet player Mathias Eick (Jaga Jazzist, Manu Katché), tuba player Martin Taxt (Trondheim Jazz Orchestra, Koboku Senju) and drummer and percussionist Pål Hausken (In the Country, Susanna, Ida Jenshus). On the band"s critically acclaimed debut album, "Weill Variations", they presented fresh, original versions of Kurt Weill"s immortal music. Their previous album, the highly praised "Graces that Refrain", presented boldly conceived "cover versions" of classical compositions ranging from John Dowland to Poulenc. "Canticles of Winter" is the band"s most powerful and beautiful release thus far. It was recorded at Rainbow Studio in Oslo with the legendary Jan Erik Kongshaug as engineer and producer. MUSIC FOR A WHILE - "CANTICLES OF WINTER" Releasedate 28.11.14!!! TORA AUGESTAD, vocals STIAN CARSTENSEN, accordion & pedal steel MATHIAS EICK, trumpet MARTIN TAXT, tuba PÅL HAUSKEN, drums & percussion Music for a while, lead by Norway's uncrowned queen of cabaret, Tora Augestad, released their long-awaited second album with the ambiguous title Graces that refrain to high acclaim in 2012. Now they release their new album with startling winter songs with shimmers of christmas: Canticles of Winter. 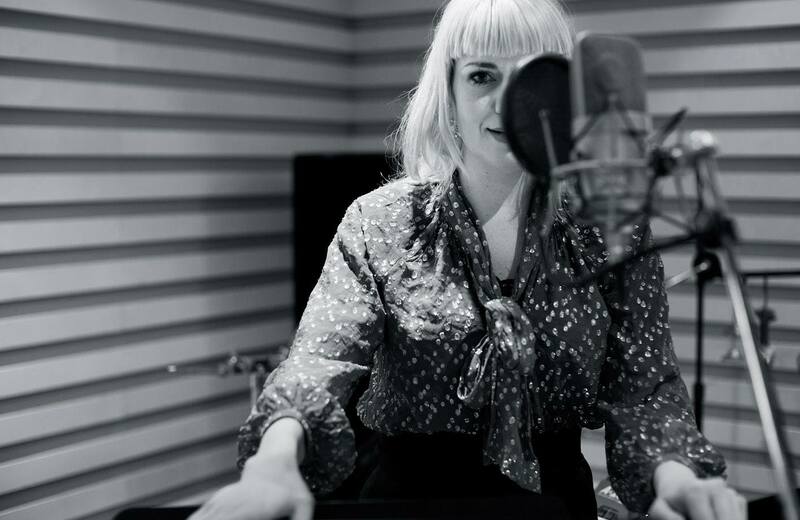 As leading lady for Music for a while, Augestad fronts a dream team of Norwegian jazz musicians: Stian Carstensen (Farmers Market), Mathias Eick (Jaga Jazzist, Manu Katché), Martin Taxt (Trondheim Jazz Orchestra, Koboku Senju) and Pål Hausken (In the Country, Susanna). What particularly characterizes Music for a while, is the group´s personal, organic and creative treatment of the material. On their critically acclaimed first album, Weill Variations, the band did original and fresh versions of Kurt Weill´s immortal music. Graces that refrain features fearless "cover versions" of compositions in classical music: from John Dowland to Poulenc. Canticles of Winter mixes melancholic winter tunes by Schubert with Baroque treasures from the great masters; Purcell, Bach & Händel. The Anglo-Saxon Carol tradition is featured with songs like "Wexford Carol", "Coventry Carol" & "In the bleak midwinter" by Harold Darke. The album will be release in the end of November 2014! www.grappa.no MUSIC FOR A WHILE: 10 ÅRS JUBILEUM & PLATESLIPP I 2014 feirer bandet Music for a while sitt 10-årsjubileum. I den anledning slipper vi vår tredje plate "Canticles of winter" (Grappa 4458). Det er en neddempet vinterplate hvor Music for a while videreutvikler barokksporet fra den bejublede platen "Graces that refrain" fra 2012 sammen med vintersanger med juledryss. "Graces that refrain, den nye plata fra vokalisten Tora Augestad og gruppa Music for a while, river ned genregrenser og utfordrer til å gjenoppdage vår europeiske musikkarv". Erling Wicklund, Nrk Stian Carstensen har de siste årene i økt grad fordypet seg i barokkimprovisasjon. Dette har preget arbeidet til Music for a while de siste årene. Musikken på platen "Canticles of Winter" er skrevet blant andre John Dowland, Henry Purcell, Georg Friedrich Händel, Carbonelli og Bach. Tekstlig er det hovedsaklig sanger om vinteren, og juletematikk. Det er likevel milevis unna en tradisjonell juleplate, selv om vi spiller noen av de vakreste julesanger som er skrevet. Platen er innspilt i Rainbow Studios i Oslo med Jan Erik Kongshaug som produsent. 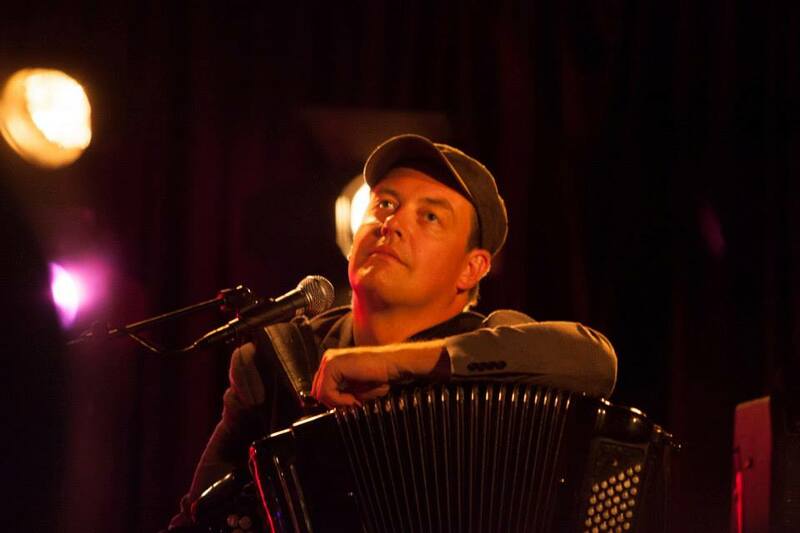 I bandet "Music for a while" fronter vokalist Tora Augestad et stjernelag av norske jazzmusikere: Stian Carstensen (Farmers Market), accordion, banjo & pedal steel Mathias Eick (Jaga Jazzist, Manu Katché), trompet Martin Taxt (Trondheim Jazzorkester, Koboku Senju), tuba Pål Hausken (In the country, Susanna), trommer & perkusjon JUBILEUMSTURNÈ Vinter 2014/2015: På turnéen vinteren 2014/2015 feirer Music for a while 10 år som band. På konsertene blir det hovedsakelig låter fra den nye platen, i kombinasjon med høydepunkter fra resten av bandets repertoar. På bandets kritikerroste første plate "Weill Variations" (2007) gjorde bandet originale og friske versjoner av Kurt Weills udødelige musikk. På andreplaten "Graces that refrain" fra 2012 gjorde de uredde "coverversjoner" av komposisjoner fra den klassiske musikken: fra John Dowland til Poulenc. "Graces that refrain" ble i likhet med "Canticles of Winter" innspilt i legendariske Rainbow Studio med Jan Erik Kongshaug som tekniker og medprodusent og fikk euforiske anmeldelser av et samlet kritikerkorps. Nå gleder de seg til å presentere tredjeplaten "Canticles of winter" for publikum! 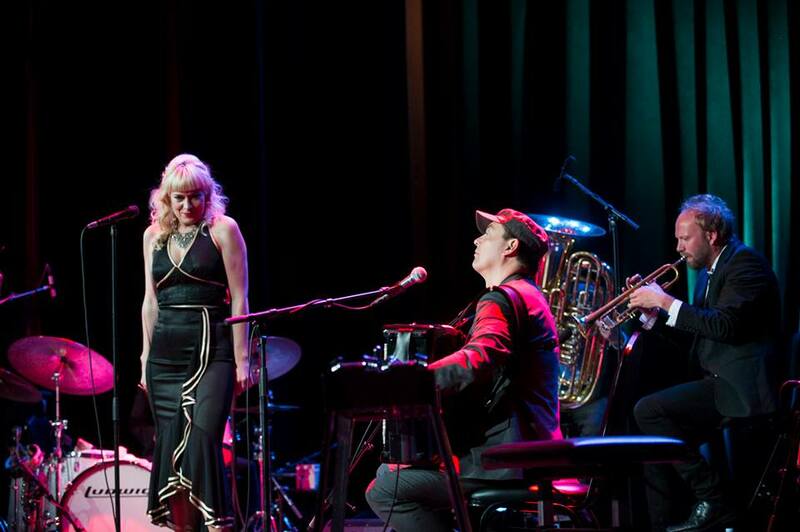 New cd's in the making: Now a touring summer: Concerts and shows in Italy, Finland & Norway! Music for a while at Vinterjazz in Fredrikstad! 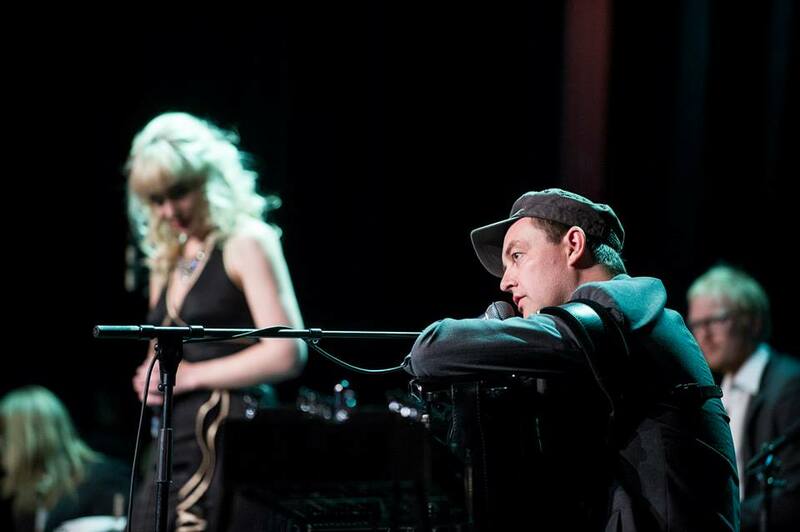 & Duo at Det Norske Teatret! Music for a while at Oslo Kirkemusikkfestival! Julejazz på Eidsvoll med Stian Carstensen & co! Music for a while: Classical Christmas at Parkteatret Scene December 13th! King Size in Prague November 24 & 25! Singing at Mecklenburg Vorpommern Festival for the first time!